White Rock Apartment Homes, the premier apartments in northeast San Antonio, Texas, is located approximately 25 minutes from downtown San Antonio. Aside from our extremely convenient location, our community features spacious one, two, and three bedroom apartment homes with a generous list of amenities for residents to enjoy. You will marvel at our soaring nine foot ceilings, designer kitchens, expansive garden tubs, and private patios and balconies with storage. Our community amenities mimic features you would find on a vacation getaway. 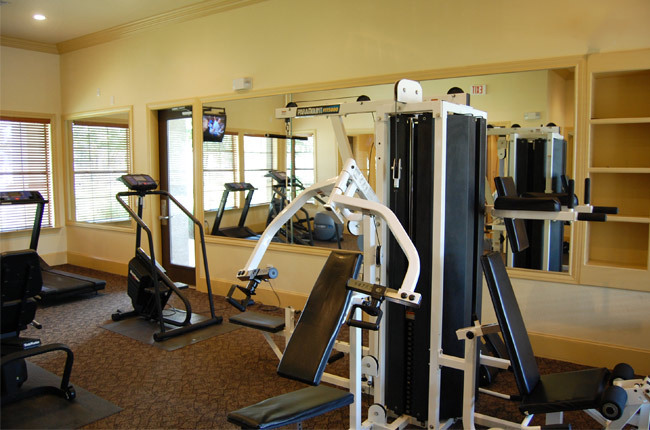 Residents have our 24-hour fitness center, professional business center, and resort-style swimming pool at their disposal. Experience how luxury and affordability become one at White Rock. White Rock Apartment Homes is conveniently located on Thousand Oaks Boulevard in San Antonio, Texas. Our central location provides you with ample opportunities to enjoy the restaurants, shopping, and entertainment of San Antonio. You will find multiple restaurants within walking distance of our community: Dresden Café, Thai Chili, Tacos-N-Salsa, and Piñas Locas are all within the immediate area. If you prefer to make your own meals, we are mere miles from from Target, Whole Food Market, and Sprouts Farmers Market. Best of all, we feature close proximity to the Interstates 10, 35, 37, and 410 so you can easily navigate the city and its surrounding areas. Schedule a tour today, and discover all of the perks of our central location at White Rock Apartment Homes.